Elizabeth Debicki and Robert Pattinson have joined the cast of Christopher Nolan's mysterious upcoming movie. The Pattinson and Debicki casting announcement comes one day after it was announced that BlacKkKlansman actor John David Washington had signed on to star in the movie. As for specifics about Nolan's next project, it has only been described as an "even film," by the studio at this time. Now that casting is taking place, we should get a better idea of what the director/writer has up his sleeve this time around in the coming weeks. 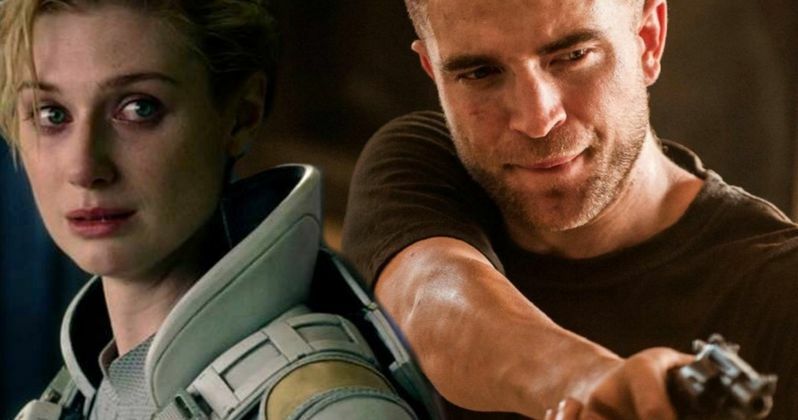 Since there is such limited information about the next Christopher Nolan movie, it isn't clear who Elizabeth Debicki and Robert Pattinson are playing or what their respective characters will be doing. The same can be said about John David Washington's role, other than the fact that he is the lead in the mysterious project. Debicki recently earned praise for her work in Steve McQueen's 2018 movie Widows and is expected to reprise her Ayesha role in the upcoming Guardians of the Galaxy 3, which just gained James Gunn back to the director's chair. Robert Pattinson will next be seen in Claire Denis' High Life and has a pretty packed 2019 schedule ahead of him with The Lighthouse and Waiting for the Barbarians, which are expected to premiere this year. Pattinson starred in 2005's Harry Potter and the Goblet of Fire and later became a mega star thanks to his role as Edward Cullen from the Twilight franchise. He has mostly stayed away from big Hollywood productions since then, but has kept very busy in the following years. As for Christopher Nolan, his last project on the big screen was the 2017 WWII movie Dunkirk. The movie was praised by critics and was a box office success. Additionally, the project earned him his first Best Director Academy Award nomination. Nolan recently finished the script for his next movie, which will hit theaters on July 17th, 2020, three years after Dunkirk. One anonymous insider declares that the mystery project is going to be a huge action blockbuster. Obviously, that bit of news comes from an anonymous source, so we'll treat that as a rumor for now until it is proven otherwise. A previous source claimed that Christopher Nolan's next movie was going to be Alfred Hitchcock's North by Northwest mixed with his own Inception. However, that was later proven to be false by the studio, who did not offer any other information than that. Whatever the case may be, one can easily assume that it will be innovative and probably filmed using super expensive 70mm cameras to give the best quality on the big screen. For now, we'll just have to keep guessing until Nolan and or the studio give us some more concrete details. The Hollywood Reporter was the first to reveal the mystery movie casting news.